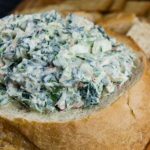 Easy Spinach Dip recipe without the dry packaged soup mix! 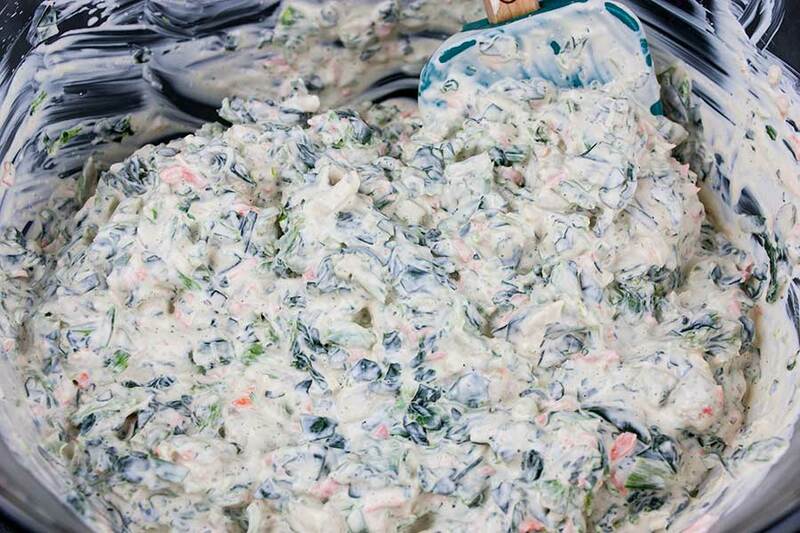 We have been making spinach dip for years using the dry soup mix. I wanted to make a spinach dip from scratch without all the preservatives. This is what I came up with and it’s even BETTER! You will never use the soup mix again. 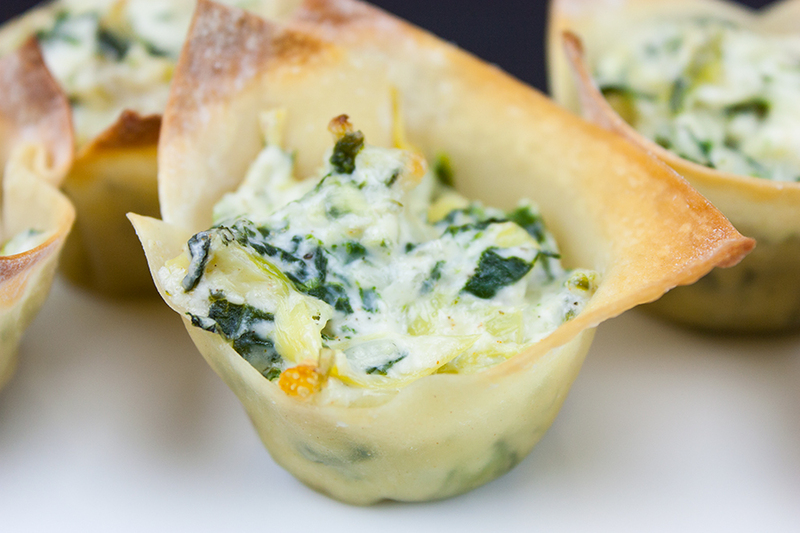 A cold, creamy, flavorful spinach dip to wow your friends and family! This easy appetizer comes together in just minutes. I use 2 10-ounce packages of frozen chopped spinach. Thawed and squeezed dry. Use a paper towel to help squeeze the water out. If you have time you can thaw in a colander. Otherwise, microwave at half power to defrost without cooking the spinach. You can also use 20 ounces of fresh baby spinach. If using fresh baby spinach, remove the stems and chop or tear it into small pieces. 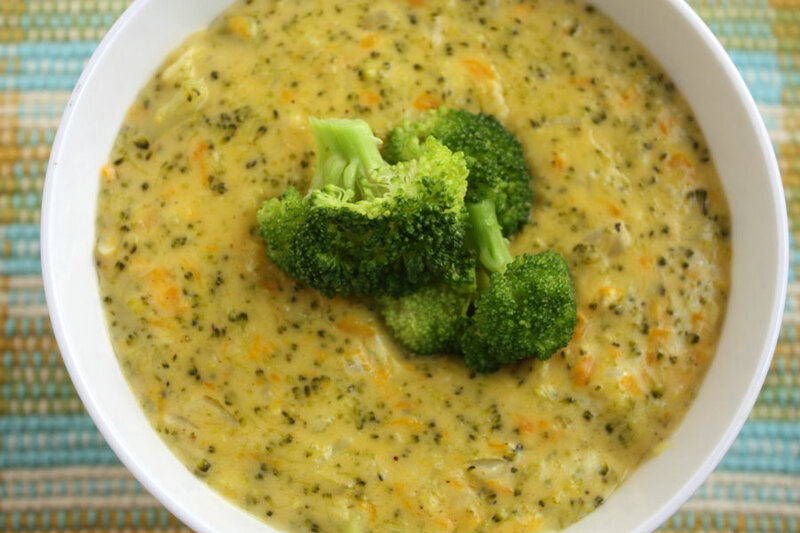 Combine the spinach and 2 tablespoons of water in a microwave-safe bowl. Cover and microwave on high for 45-60 seconds or until wilted; drain. Cool and squeeze dry. Grate the carrots and give them a rough chop. You want small pieces of carrot, not long shreds. Drain and finely dice the water chestnuts. Finely dice the green onions. 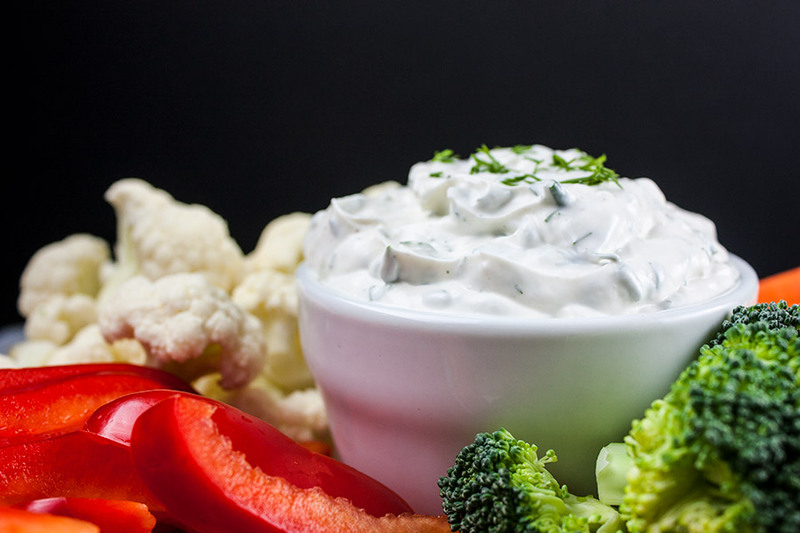 In a large mixing bowl, combine the mayonnaise, sour cream, onion powder, garlic powder, paprika, Worcestershire sauce, fresh lemon juice, salt, and pepper. Mix well. 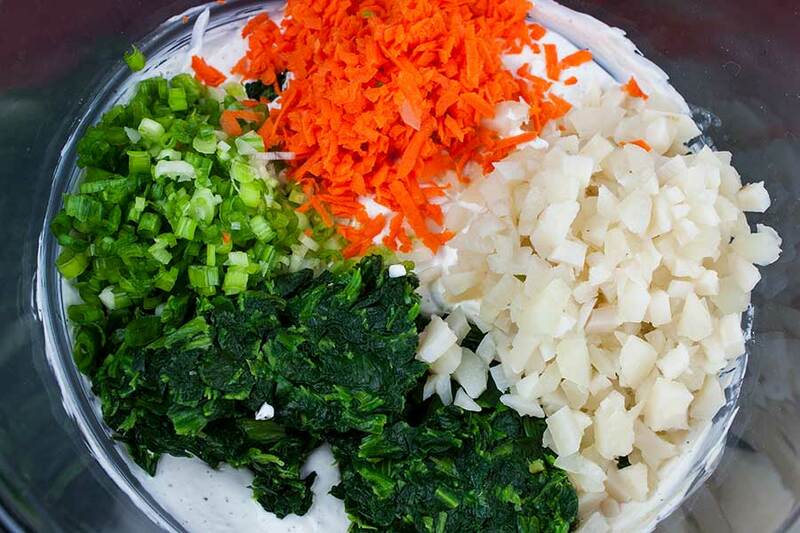 To the mayonnaise mixture add the spinach, green onions, carrots, and water chestnuts stir to combine thoroughly. Make it even prettier by serving in a bread bowl. Use a large round sturdy bread. You want it to hold up to the dip being placed in the center. 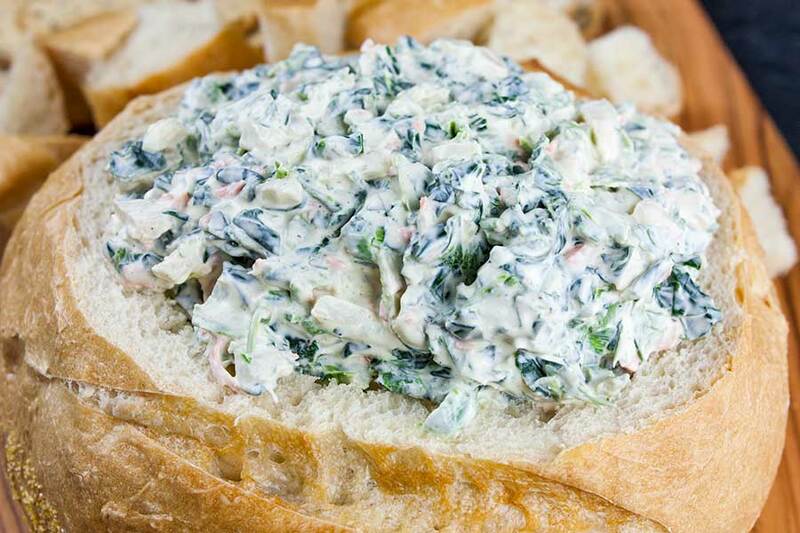 This easy spinach dip is a great appetizer to make-ahead. It will last about 3 days in the refrigerator but I recommend only making it one day ahead to maintain it’s fresh flavor. 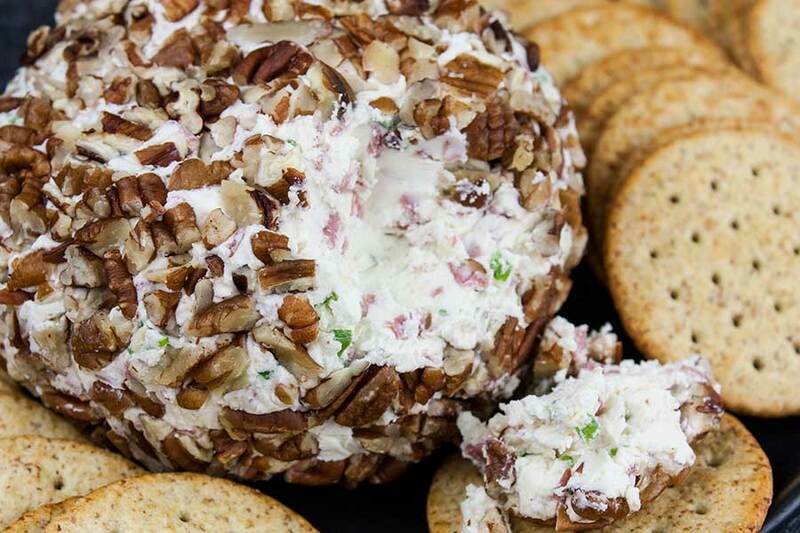 This party dip is perfect for gatherings, game day events, holidays, etc! Easy Spinach Dip - A cold, creamy, flavorful spinach dip to wow your friends and family! From scratch, no dry soup mix here. 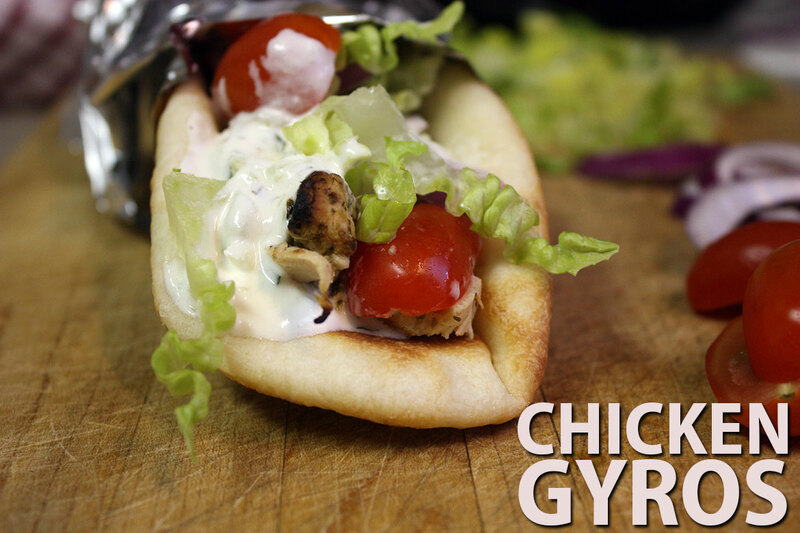 In a large bowl, add the mayonnaise, sour cream, onion powder, garlic powder, paprika, Worcestershire sauce, lemon juice, salt, and pepper. Whisk to combine well. Add the green onions, water chestnuts, and spinach to the bowl. Stir to combine thoroughly. 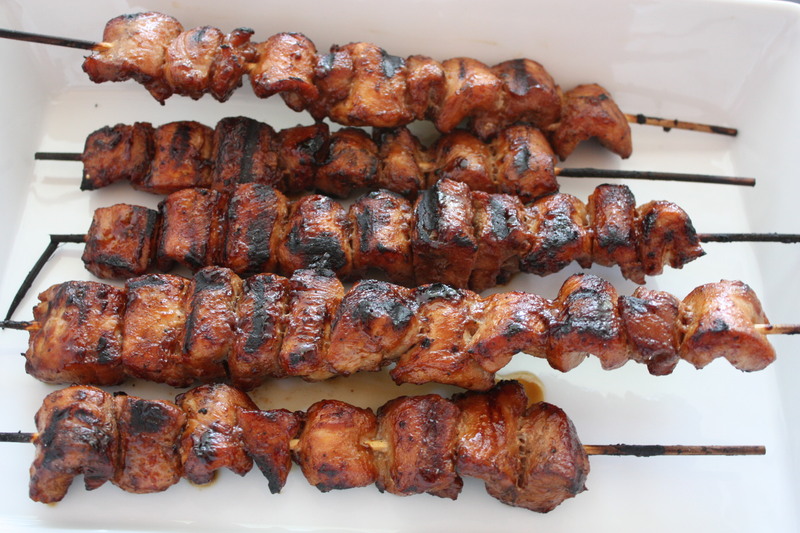 Cover and refrigerate at least 2 hours before serving to allow the flavors to combine. 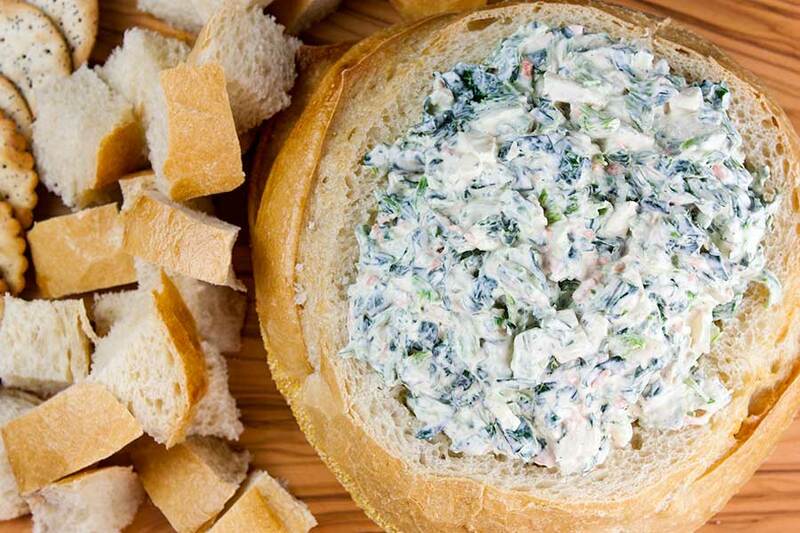 Serve in a sourdough bread bowl with cubes of bread, crackers or carrot and celery sticks. Nutrition information will depend on what type of ingredients you use. This is just an estimate. We do our best to give you nutritional facts as correct as possible. Please feel free to calculate for yourself. I put grated carrot right into the dip, it made it really chrunchy. Also I did not have the water chestnuts, so put in the carrots.